So this is my entry to the First Comics Talent Call! I reworked the Swarm cover basically. I tried a few layouts but nothing was jumping out at me, and randomly cast my eye across a print out of Swarm pinned up at my day-job. I thought “I’ll give that a shot I suppose, it can only be another that doesn’t quite work”. Well… it DOES work! I’m really quite chuffed with the way this turned out! Anyway, there’s nothing else new to tell. 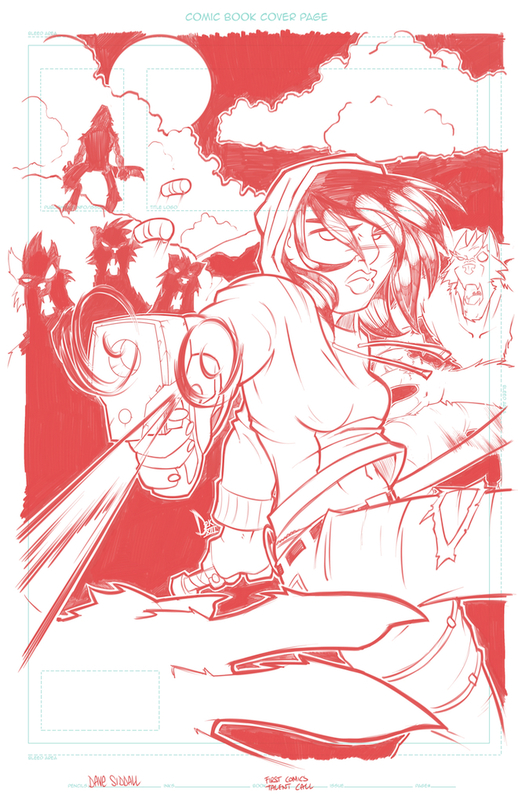 I’m having a go at a second pinup for the Talent Call, so we’ll see how that pans out. Jack 1979 is shaping up to launch mid January, so I’m really looking forward to that and I’ve now also got an Instagram feed to add to the Twitter I randomly fill up with crap. Next Next post: Onward Loyal Steed!